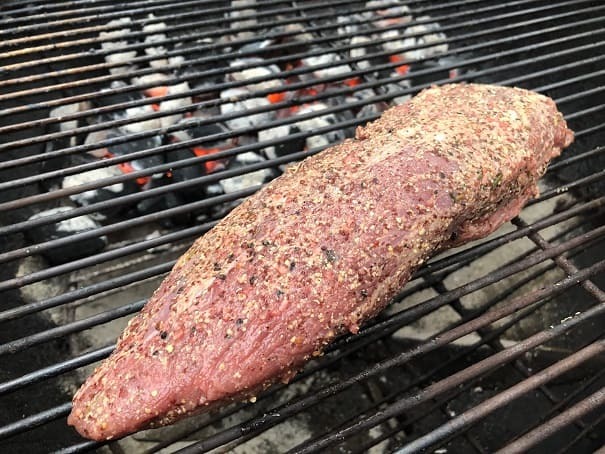 Teres Major Steak: What Is It, How to Grill and Where to Buy. The Teres Major steak, also called the Petite Tender, is the best bang for your buck in the world of steak. These steaks are HARD to find so if you come across some then buy every single one and stick the extras in the freezer. 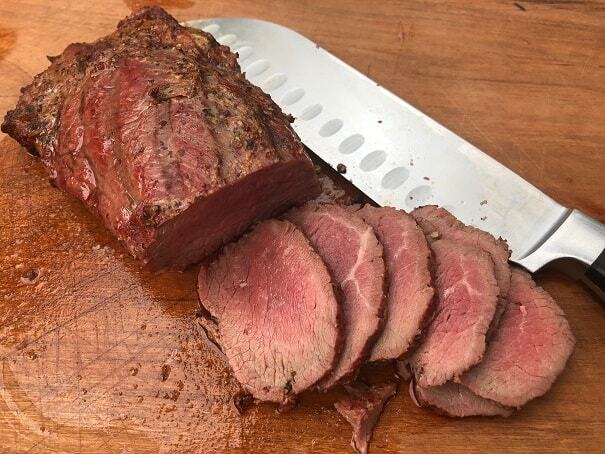 What is a Teres Major Steak? 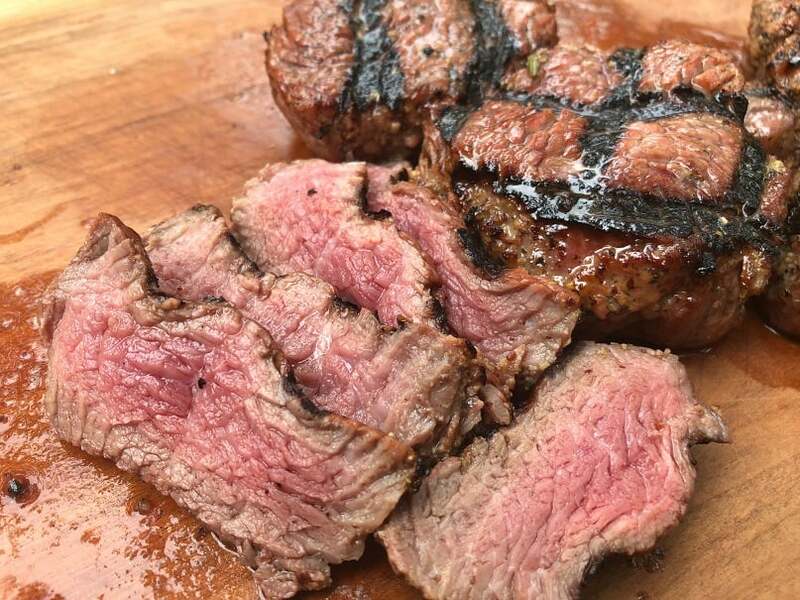 A Teres Major is a flavorful and INCREDIBLY TENDER steak that comes from the chuck primal. These steaks are a whole muscle that weigh about a pound and there are only two steaks per head of beef. That means for a 1,000 pound steer the Teres Major is only 0.2% of the animal. Additionally, the location of this muscle makes it difficult to remove. Many packing houses don’t bother to harvest the cut and end up grinding it into hamburger. Here is what it takes to harvest a Petite Tender. The Teres Major is just slightly less tender than the filet mignon and has much more flavor. The kicker is that the Petite Tender, on a per pound basis, is 1/3 the cost of a filet mignon. Like a filet mignon, this is a very lean steak with no external fat cap and limited internal marbling. Despite the leanness of this steak the flavor is amazing. This steak is a no-brainer. I think the reason that this steak is so cheap is because it is so rare and people just don’t know enough to drive up the price. The petite tender really is one of those Butcher Secret Cuts. 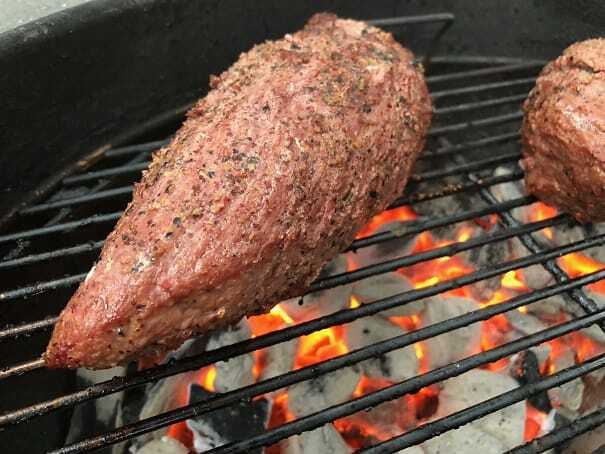 I will show you two ways of grilling this steak but the big trick is to use a digital thermometer to make sure you don’t over cook it. 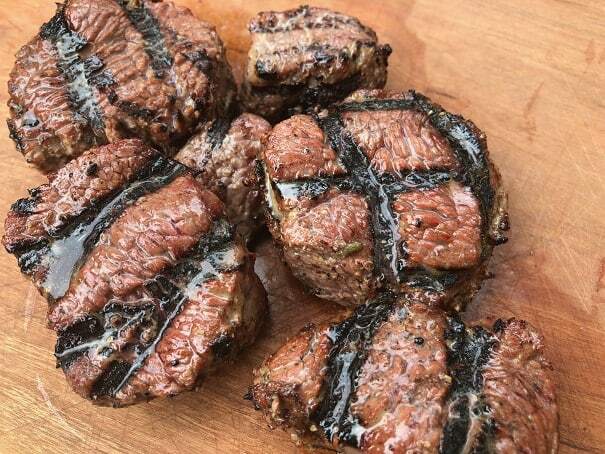 These are small steaks so they cook fast. Stay by your grill and pay attention to temperatures. 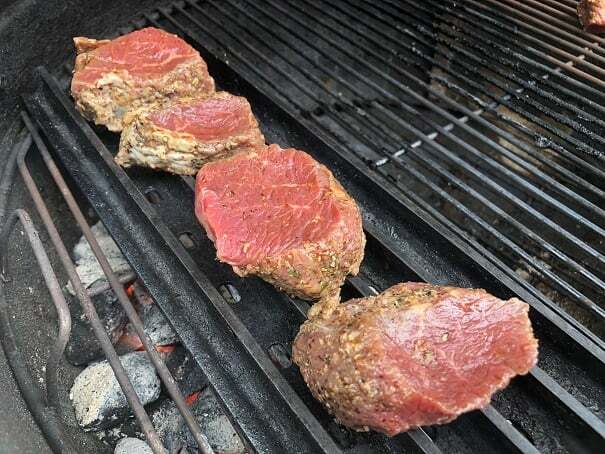 You can season these steaks with just salt and pepper and they will be amazing. I set up my Weber kettle for High Indirect Heat by dumping a full chimney of lit charcoal on the left side of the grill and placing the steaks on the right side of the grill. After about 20 minutes of indirect grilling the steak hit an internal temperature of 120F and took on some beautiful color. The steaks got moved directly over the coals and were turned frequently to get a nice char on the meat. This will only take a few minutes. Check the internal temperature with a instant read digital thermometer often and take it off the grill the moment the internal temperature reaches 130F. Let the steak rest for a few minutes then slice against the grain and devour. 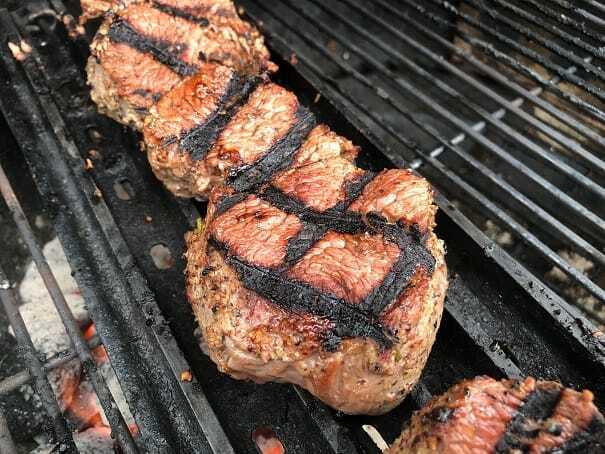 An alternative way of grilling this steak is to cut it into medallions and grill them quickly over Direct High Heat. I was able to get four nice 1.5 inch medallions out of this steak along with two tasty end pieces. These were grilled directly over high heat using a GrillGrate panel. The steaks were grilled for one minute, rotated for grill marks, then grilled another minute before flipping. The steaks were basted with butter and grilled another three minutes until an internal temperature of 130F was reached. Once the target temperature was reached the steaks were taken off the grill and sliced up to reveal a steak that was so tender and flavorful that it should have been illegal. Seriously…it blows my mind that this steak is so freaking incredible and cheap at the same time. This is a specialty cut and you will usually have to order it in advance from your butcher. If you are in the US you should ask your butcher for either a Teres Major or Petite Tender. The easiest way to buy a Teres Maor is to order one online. Petite Tender Steaks from Snake River Farms. The Petite Tender steaks from Snake River Farms are some of the most amazing steak available in the world. The beef from Snake River Farms comes from American Waygu cattle which are equivalent to Japanese Kobe. The marbling on these steaks is simply incredible. Waygu beef always grades much higher than Prime and is a delicacy that everyone should try at least once. If you have ever wanted to try American Waygu then this is one of the most affordable and delicious ways of doing so. Here is the link to Snake River Farms. If Waygu beef is out of your price range then take a look at Porter Road. Porter Road is a great outfit out of Nashville that sells beef from small farms in Tennessee and Kentucky. The cattle on these small farms are raised and pastured outdoors and treated humanely. If you care about how your beef was produced then these are the guys you want to work with. The cattle are Black and Red Angus which are the next best option from Waygu. Porter Road is a small operation that cuts all their steaks by hand. They only sell steaks that have the highest marbling possible. When you buy from Porter Road you will get an amazing steak from a cow that was raised like it was supposed to. Here is the link to Porter Road.